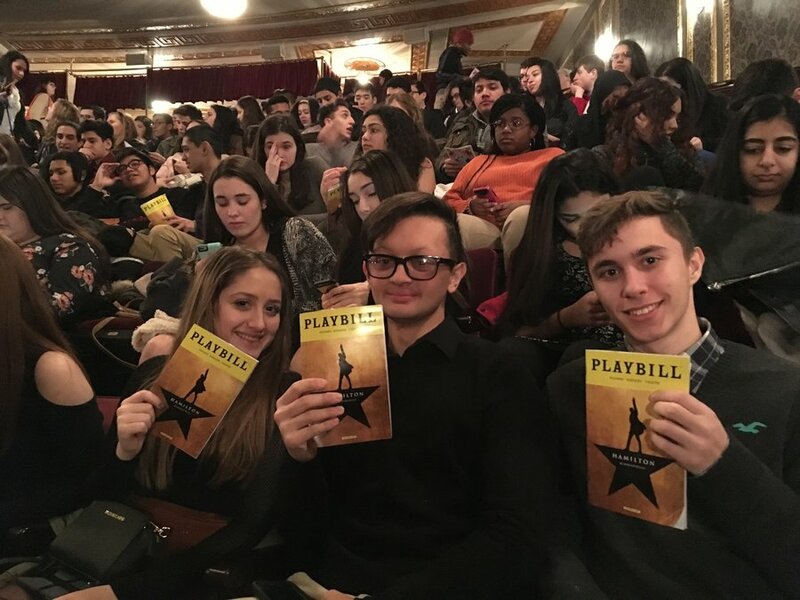 One hundred eleventh-grade students in the Academy for Fine Arts and Academics at Bayonne High School spent the day on Wednesday, Feb. 15 at the Richard Rodgers Theatre in Manhattan to see a matinee showing of the hit musical, “Hamilton” for $10 per ticket. 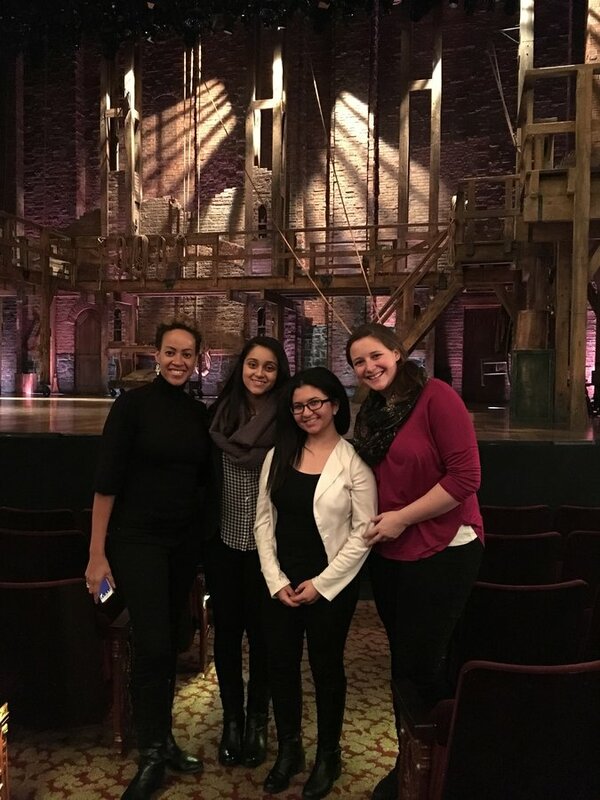 The excursion was courtesy of the Hamilton Education Grant Program, an educational initiative administered by the Gilder Lehrman Institute of American History, with the help of a $1.46 million grant by the Rockefeller Foundation that runs from 2016 to 2017 and aims to provide 20,000 area students the opportunity to see “Hamilton” and integrate the play into classroom studies. History teachers James Murphy, Keri Toomey, Neil Carroll, and Jessica Mintz worked with musical theater teacher Lori Alexander to present a three-day lesson using curriculum and materials provided by the Gilder Lehrman Institute. Students learned about the Founding Fathers era in depth before seeing the play, then worked individually or in pairs to write original performance pieces, including poems, raps, monologues, and dramatic scenes to be submitted to the institute. One student piece was selected to be shared with the institute and performed on stage at the Richard Rodgers Theater. Written and performed by Abigail Isaac and Kermena Abdallah, the poem is about the life of Elizabeth Schuyler, the wife of Alexander Hamilton. 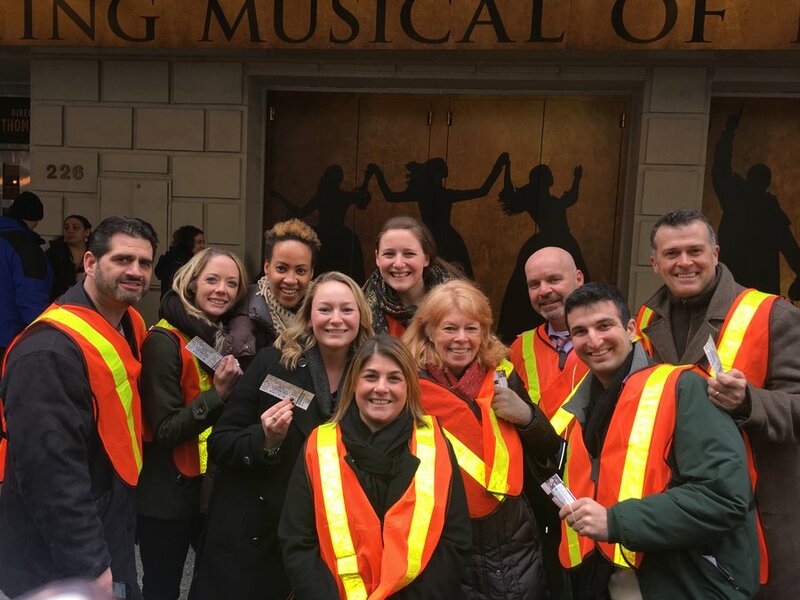 Students enjoyed a pizza lunch at the famous John’s Pizzeria in Midtown, where they met Broadway actors Joey Sorge (currently performing in “A Bronx Tale”), and Gregory Treco (current cast member of “Hamilton”), and then returned to the Richard Rodgers. In addition to completing the grant application for their students, Lori Alexander and Jessica Mintz oversaw the curriculum, preparations, and details of the grant program and field trip. “They provided our students with a truly once-in-a-lifetime experience that they will never forget,” she said. And in regarding this as true, she would succeed until her last day. Rory Pasquariello may be reached at roryp@hudsonreporter.com.